... in many ways, the Ford Mustang is still very much the same as it always was. It still has only two doors, still sends all its power to the rear wheels, and most importantly, it represents an iconic, stylish performance bargain, with a sleek silhouette and throaty V8 burble fit for a fine European sportscar, and a horsepower-per-dollar ratio far, far better. For 2018, there’s a new Mustang on the scene – one that’s based on the same sixth-generation (S550) chassis, but significantly updated in the engine, transmission, suspension, and aerodynamics departments. Rather than just tweak the fascias, spruce up the interior, and call it good, Ford Motor Company has opted for more drastic changes, lowering the hood, boosting engine output, massaging more responsiveness out of the suspension, and revamping the 6-speed manual transmission while replacing the old automatic with a cutting-edge 10-speed unit. The sum of all these changes, in theory, ought to be a faster, better-handling, and more pleasurable ride. To find out whether that’s the case, we flew out to Malibu, California to drive the refreshed, 2018 Ford Mustang EcoBoost and Ford Mustang GT for ourselves, using the city’s meandering mountain highways and scenic beach roads as our proving ground. In the 2018 Ford Mustang EcoBoost, peak power hasn’t budged from last year’s count of 310 horses, but that’s far from the only important measure of an engine. Peak torque is up 30 lb-ft to a whopping 350, and torque throughout the rest of the RPM range up substantially, thanks to revisions to some of the sensors and, consequently, the ECU tuning. (More on that in a future article.) According to Ford, when mated to the 10-speed automatic, the plucky little four-banger is capable of propelling the updated ‘Stang to 60 mph in less than five seconds, making it measurably quicker than the SN-95 Modular SVT Cobra of yesteryear with its 4.6-liter DOHC V8. Half the displacement, half the cylinder count, and still significantly more expedient in a straight line: we’d call that a win-win. Granted, Ford saved the big changes for its 5.0-liter “Coyote” V8 in the Mustang GT, which is now in its third generation. The new mill features dual-injection (both port- and direct-injection, with the point of injection changing based on operating conditions), helping it achieve 460 peak horsepower and up to 420 lb-ft of torque. Those numbers are up from 435 hp and 400 lb-ft in the 2015-2017 model, and with the help of Ford’s 10-speed auto, they unlock a sub-four-second 0-to-60 time, meaning the Mustang GT can finally keep pace with Chevy’s pesky sixth-gen Camaro SS. 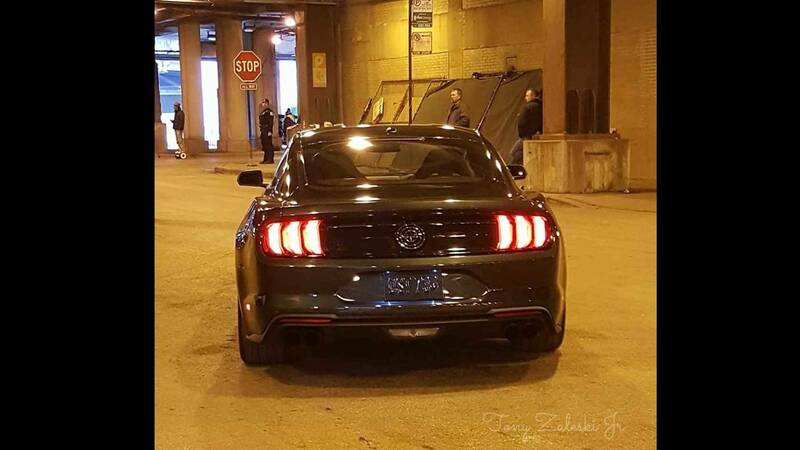 On the street, often even more important than speed itself is the sensation of speed, and in that regard, the 2018 Ford Mustang GT delivers with aplomb. The redline has been raised by 500 RPM to an awesome 7,500 – just 750 shy of the Shelby GT350’s stratospheric cut-off – so that each time you bury the tach, you’re rewarded with a glorious, bellowing, full-bodied roar. Its aural qualities are abetted by a new, optional quad-tip exhaust with adjustable internal valves that allow you to keep a lid on the noise when you don’t want to rouse your neighbors, and unleash the full, unrestrained howl of the Coyote whenever you want a punch in the ear. Unfortunately, we can’t tout the noise of the 2.3L EcoBoost I4 quite so much. It’s hollow and hoarse by comparison, and while not the worst thing you’ll ever hear, nowhere near as satisfying as the Coyote, and not even up-to-snuff with the very same engine in the Ford Focus RS. Prospective Mustang EcoBoost buyers will want to turn to the aftermarket for a more sonorous experience. We drove a total of three 2018 Ford Mustangs over the course of our two days in sunny Malibu: an EcoBoost auto, a GT auto, and a GT manual. Let’s start with the EcoBoost. With the demise of the V6-powered Mustang, the EcoBoost model is the best-balanced one there is, with significantly less weight hanging over the front axle than in the GT. The Performance Pack-equipped example that we drove was quite well-balanced indeed, moving with a litheness that no stock GT has ever been able to manage. Acceleration isn’t miles better than the outgoing Mustang EcoBoost, but the extra torque is perceptible, and the twin-scroll turbocharger does a good job of keeping lag to a minimum. Automatic-equipped examples come with wheel-mounted paddle shifters, but we certainly don’t want to click manually through all ten speeds of Ford’s new longitudinal planetary automatic; that’s a lot of gears to keep track of. Thankfully, whether in Normal or Sport mode, the 10-speed’s ECU does a very good job of recognizing what you want, and executing it quickly. A “slushbox” this is not; we figure it’ll give most dual-clutch units a run for their money, both in expediency and overall satisfaction. Taken together with the Performance Pack’s new standard Michelin Pilot Sport 4 S tires, it’s all but impossible not to take note of just how “sportscar” the base ‘Stang is. At more than 3,500 pounds, it’s no Miata, but it feels small, lively, and more than up to the challenge of California’s sweeping mountain roads. Steering feedback has been improved through the deployment of a new, lower-friction rack, and there’s more dry-weather grip than one could reasonably use on a public road. Turn-in is moderately sharp, and in fast cornering, neither does the car feel like it wants to swap ends, nor does it want to carry on straight off the road. If it’s poise and satisfaction on a curvy road you seek, the 2018 Mustang EcoBoost is a solid option. 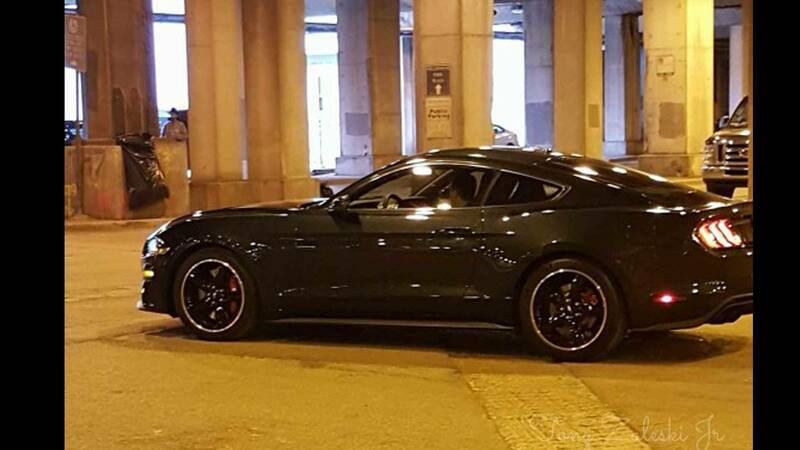 Take that car and drop a 460-horsepower sledgehammer under the hood, and you have the 2018 Ford Mustang GT. Those hoping to put an automatic-equipped example in their garage stand to benefit from the same snappy, excellent 10-speed that’s in the base EcoBoost model; those who prefer to row their own gears ought to rejoice in the fact that that drivetrain, too, has been revamped for 2018. The ratios are all-new, the 6-speed Getrag now offering not one, but two overdrive gears. The new, wider spread means less shifting during acceleration, and the third-generation Coyote has the torque to deal with it. Beside that, the synchromesh rings are of a new, slicker design that lowers shifting effort and elevates the feeling of grabbing gears to the realm of excellence. Much to our delight, the new twin-disk clutch eases the effort of actuating the left pedal, and driveline jolts are cut down by a dual-mass flywheel. But what really shone in the Level-1 Performance Pack examples that we drove was the suspension. Even the regular, non-Performance Pack GT gets a set of monotube dampers in the rear for a tighter, quicker reaction, but the MagneRide suspension – available as an optional extra with Performance Pack 1, and made standard with PP2 – takes things a step further, all but negating the effects of the GT’s big, heavy slug of aluminum in the nose, dialing-out the GT’s noted tendency to shove through corners. Here, again, the new Michelin Pilot Sport 4 S summer performance tires make a big difference, and the 2018 Ford Mustang PP1 is the first mass-market North American product to get them. On tight mountain passes with little margin for error, the hefty 2018 Ford Mustang GT PP1 inspires confidence, tackling hairpins with the sort of speed that would make earlier iterations of the grand tourer need to back down. It gobbles up corners like no 3,700-pound car ever should, powering out with all eight torquey cylinders howling. You’d have to have a death wish to ever exhaust all its cornering ability on dry pavement. In that setting, steering is a bit slow, forcing the driver to shuffle the wheel now and again to make some corners. However, the feedback is quite good, providing a constant indication of how well the tires are performing, and the brakes feel every bit as good as they stop. We can’t wait to drive the new, Level-2 Performance Pack, which gets wider Michelin Pilot Sport Cup 2 rubber and boatloads more downforce for even more grip. But even the lesser of the two options packages has our emphatic support. As mid-cycle facelifts go, the 2018 Ford Mustang goes well beyond the standard formula, tweaking nearly every aspect about the car that matters to leave very few chinks in the armor. It’s about as tight, competent, and downright enjoyable as a factory S550 possibly could be. Sure, the steering is still a bit slow, the 2.3L EcoBoost could sound better, and the car’s portliness remains a bit of a limitation, but order yourself a Mustang GT with the active quad-tip exhaust and you’ll be so enamored with the Coyote’s tremendous aural qualities that it’ll be hard to concentrate on much else. In more than fifty-three years of continuous production, one thing absolutely hasn’t changed: the Ford Mustang pony car retains an astonishingly good thrills-per-dollar-bills ratio, perhaps now more than ever. Even as it grows bigger, more comfortable, and more refined, the spirit of the Mustang can’t be tamed. hbmf3, glyphics and Bloggin like this. If this model had been available a year ago, I would be driving one instead of my Continental.